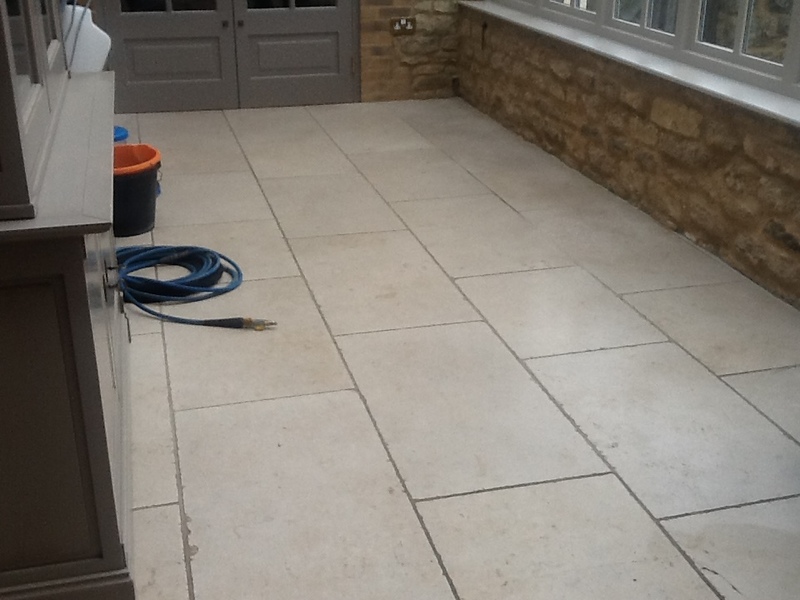 Here is a job I completed late last year in the charming tranquil village of Grafton UnderwoodFlagstone tiled Living Room which you will find I have written about previously. 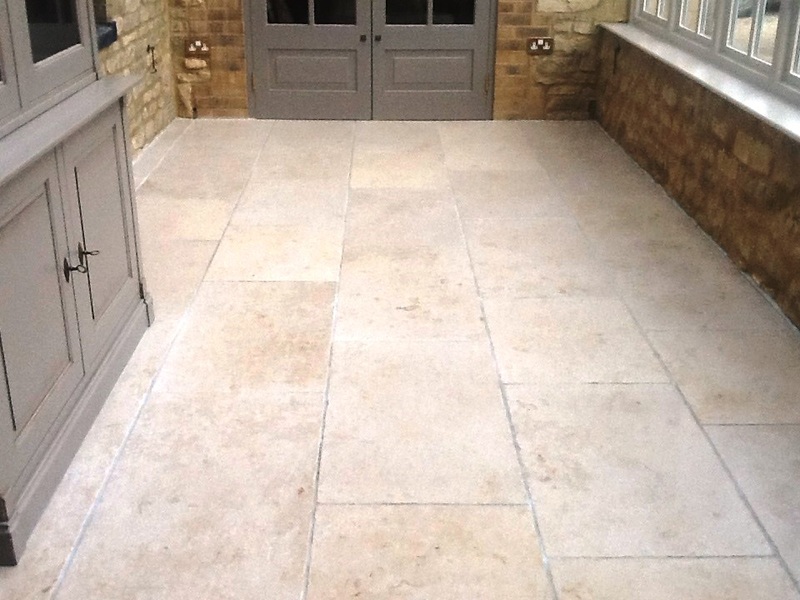 This second floor was Polished Limestone that had been laid in their conservatory. The floor was not only was in dire need of a thorough clean and fresh seal, but was also suffering from cracks in some areas. My first task was to address the multiple cracks in the floor, which I repaired by filling with a colour matching filler. I also managed to remove some displeasing rust marks ruining the appearance of the floor by using Tile Doctor Rust Away. 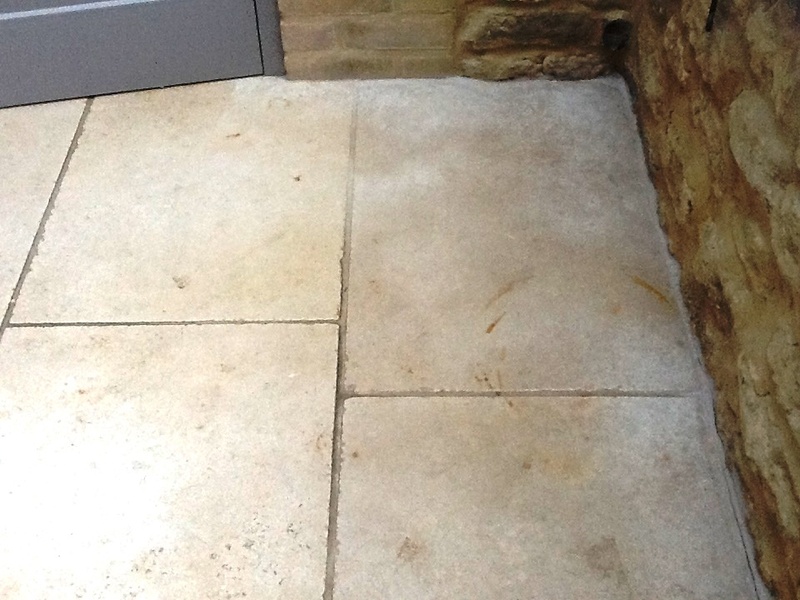 Rust Away is used to remove embedded rust stains on any type of Stone or Clay-based tile. 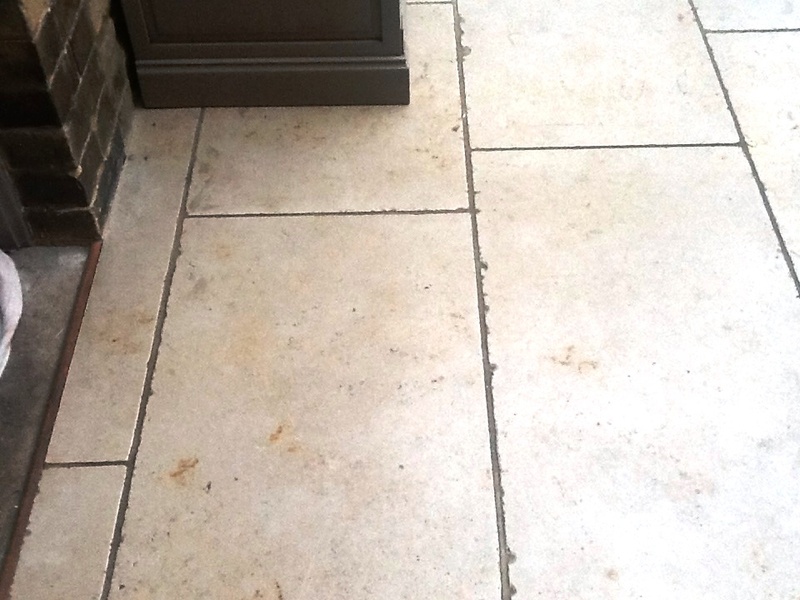 I then gave the conservatory floor a thorough clean, focusing first on the grout with Tile Doctor Pro Clean, a high alkaline cleaner that’s safe to use on Tile, Stone and Grout. 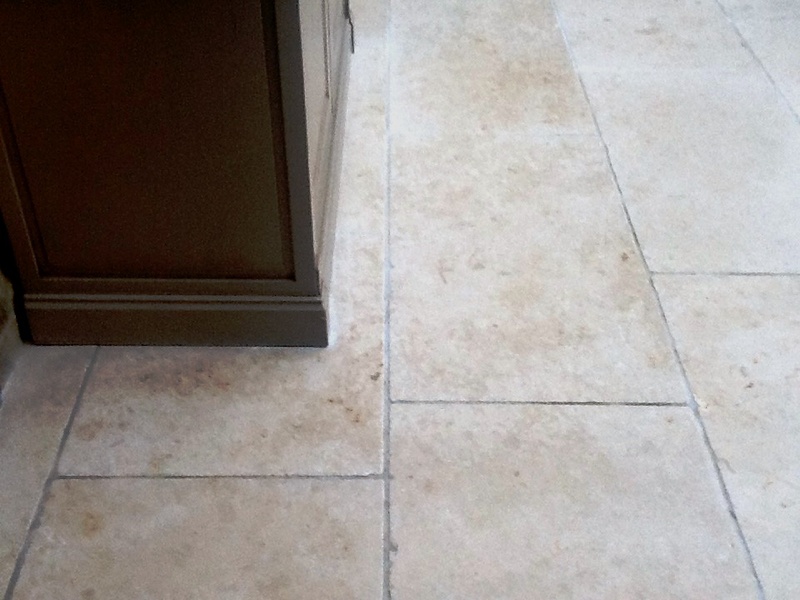 The Limestone tiles were then cleaned and re-polished with Tile Doctor Diamond encrusted burnishing pads. I started with the Coarse burnishing pad to remove dirt and old sealer before moving through the other pads from Medium to Fine, stopping to lubricate and rinsing the area with a little water after burnishing with each pad. After completing the clean, I left the conservatory to dry fully overnight. 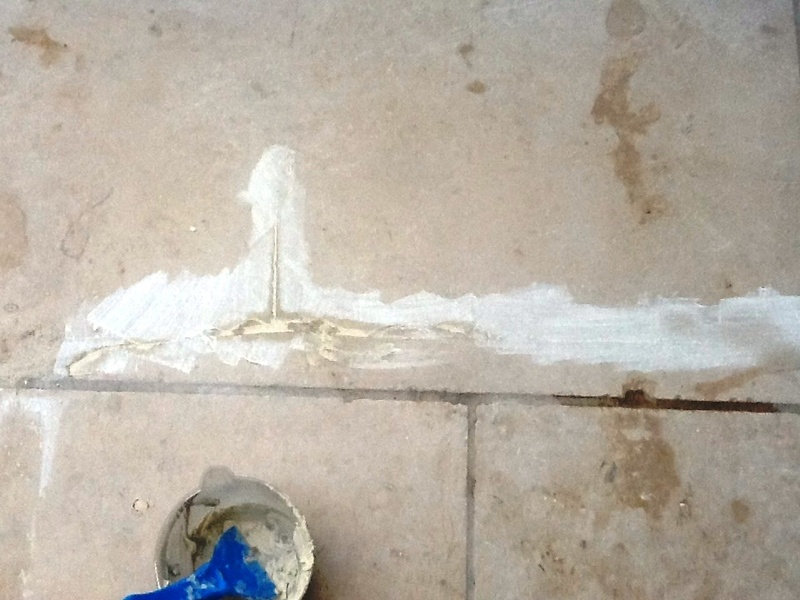 Upon my return to the house the next day, I ran damp tests to confirm the floor was dry enough to take the sealant, and then proceeded to seal the tiles with two coats of Tile Doctor Colour Grow. 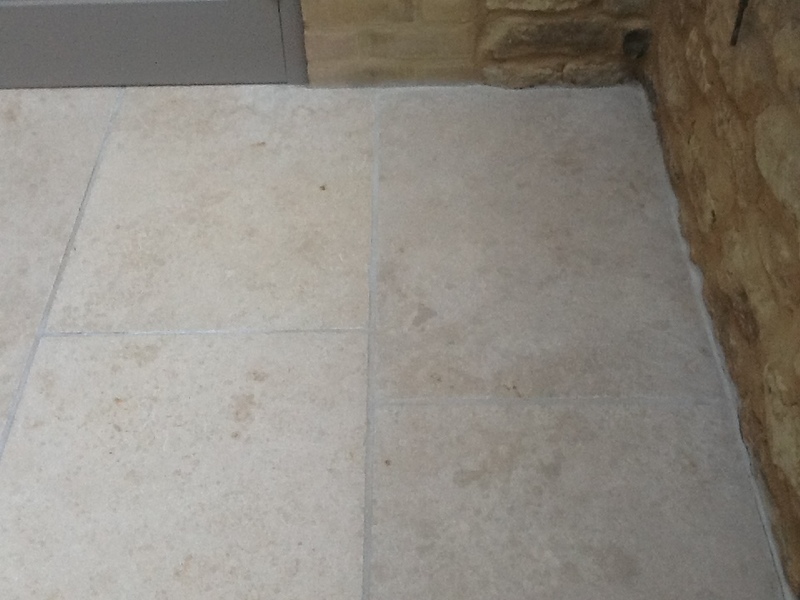 Colour Grow is a sealant which offers a robust surface seal, while also enhancing the natural colours in the stone. It also offers an aesthetically pleasing matte finish, which is exactly what my client had requested. My client also left the following message on the Tile Doctor feedback system. Everything carried out when promised and with due consideration and explanation. Likely to have more work done next year.